A two term course in comedy for single and dual honours BA drama students. This course aims to develop student's understanding of humour, enhance their comedic skills, equip them with tools to devise original comic performances and healthy reflection skills to keep their practice evolving. The whole course is presented as a supportive comedy lab, where the students are encouraged to support each other to take measured risks. Through practical workshops, supported by a wide variety of current research, students engage in a number of forms of comedic performance that break the fourth wall and involve direct address to the audience; including contemporary clowning, Commedia del'arte, music hall, slapstick, status play, creating comic characters, comic storytelling and stand up. Together, we explore theories relating to the study of laughter and humour as well as investigating the social, historical and political context surrounding comedy, developing a framework in which the students can critically evaluate their developing comedic practice. 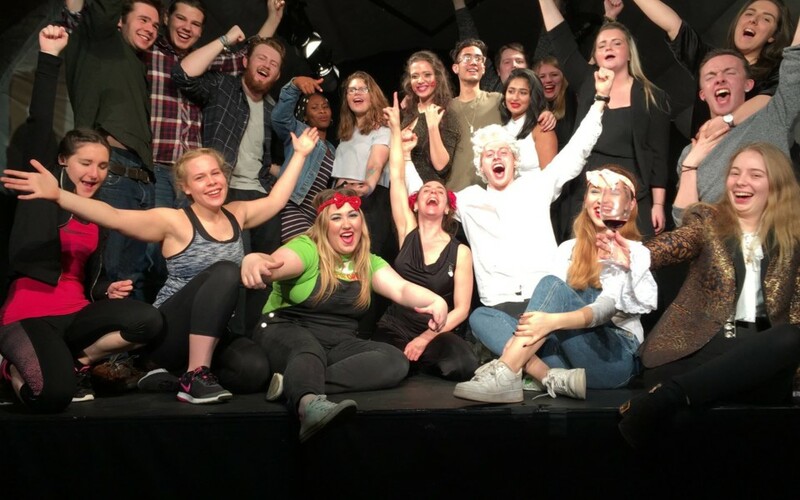 The course culminates with a live comedy showcase, where the students present a cabaret of original comedy for a real life audience, followed by a reflective essay charting their way through their devising process and performance.